How Long Does It Take For Wisdom Teeth Extraction Holes To Fill? 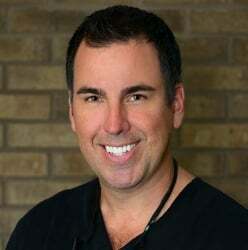 Sarasota Dentistry » Blog » After wisdom teeth extraction, how long does it take for those annoying holes to fill up so I can eat and feel normal again?? After wisdom teeth extraction, how long does it take for those annoying holes to fill up so I can eat and feel normal again?? It takes about 6 weeks for the jaw bone and gum tissue to repair itself following wisdom teeth extractions. This time may vary depending on if the wisdom teeth were impacted in bone or in gum tissue. Deeply bony impacted wisdom teeth require more bone removal and therefore may require more healing time. If the gum tissue is sutured to close the tooth extraction site, a blood clot forms quickly and the healing process begins. The soft tissue usually heals itself to the point where its not annoying anymore in about 3 weeks. Pain usually subsides in a couple of days, but may linger when more extensive surgery took place. Bone grafting at time of extractions may minimize the post operative complications and speed healing time. Eat nutritious meals even though you may not feel like it – fruit and vegetable juices are a nutritious alternatives to solid foods. Do Not Smoke or Chew Tobacco as it may increases risk of a dry socket which is very painful – call your dentist if you are experiencing worsening pain a couple of days after the extraction so that a dry socket can be treated properly. Use antibacterial mouth wash twice a day for one to two weeks – Chlorhexidine Gluconate , also known as Peridex, can be prescribed by your doctor. DO NOT use Listerine, Scope or other over-the-counter mouth rinses. If food does get into extraction site, flush gently with warm salt water – the blood clot tends to feel like something is stuck so don’t try clean it out. Damage to the TMJ (Temporomandibular Joint) during wisdom teeth extractions is usually temporary. If you have or have had TMJ problems in the past, you are more susceptible to TMJ symptoms following the teeth extractions. Make sure you let your dentist know so they can advise you better how to prevent these symptoms. A commonly used technique is pre-operative anti-inflammatory medications such as Advil (also known as Ibuprofen). Anti-inflammatory medication is also recommended for approximately 3 days following wisdom teeth extractions. Muscle relaxers such as Flexeril (a Cyclobenzabine) may also be used to aid patients with a history of TMJ disorder.